Monika, approaches her work with the core belief that kindness & compassion are the foundation for a life well lived. Originally a professional dancer in Germany, she certified in GYROTONIC®. Shortly after, she also completed her Physical Therapy license with an intensive training in human anatomy, kinematics & bio-dynamics. For almost 20 years, she practiced as a Physical Therapist where she treated patients –from pediatric to the elderly & dealt with wide ranges & levels of disabilities. 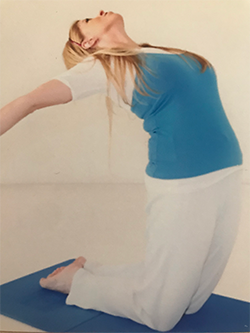 Since her move to the United States in 2013, she is now a certified GYROTONIC® Pre-Trainer & certified in GYROTONIC® Level 1& 2, GYROKINESIS®, Jumping Stretching Board, GYROTONER®, Leg Extension Unit, applications to golfers, dancers & the pelvic girdle. She thrives & adapts while helping her many clients & their complexities achieve healthy biomechanics through regular exercise, proper nutrition & hydration. She continues her holistic approach today while working on her Homeopathic certification.